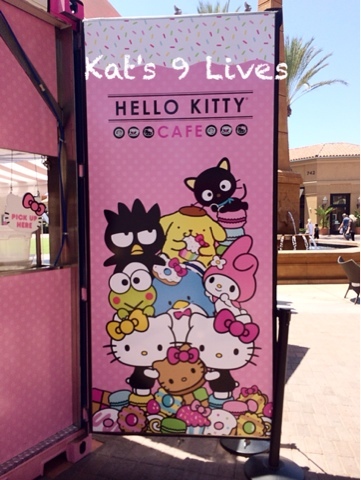 Many people have been anticipating the Hello Kitty Cafe opening at Irvine Spectrum. It's literally just a container with a few tables and some sweet treats plus drinks. Beware : They tend to run out of items quite quickly and the lines can be long. I even went about 1 hr after they opened and a bunch of items were already out. My pal really wanted the Birthday Cake and it was sold out. I wanted the Macarons and of course they were gone too. Nonetheless there were still other items that I had not tried and decided to do a photo op. 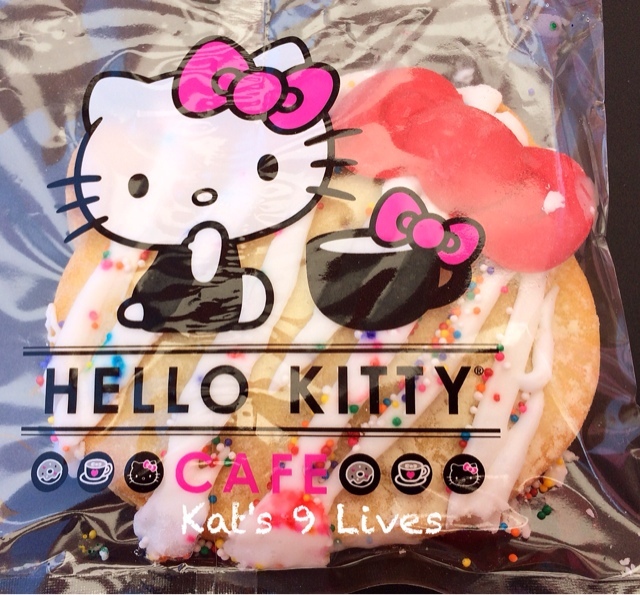 =D They had the simple Sugar Cookie Bow and Hello Kitty Pop Tart. I wished they had the other cookie that was Hello Kitty's face, but the bow looked great in selfies around the station. 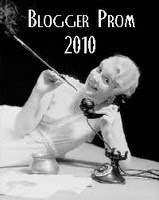 =D The whole point of coming here is for a trip down memory lane plus photo op! They have a very limited menu that consists mostly of sweet pastries, coffee, lemonades, and teas. Even the bags that they give are super cute. The coffee are nice and strong in flavor. I have yet to have the teas but they look good too. 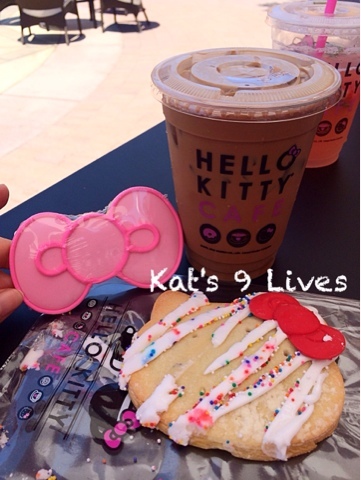 So far I have had the Apple Pie with a cute Hello Kitty cutout on top that was not too bad. Do not order the Strawberry Puff Pastry, there is no Hello Kitty anything on it and it was very bleh! Big mistake =*( The pop tart is decently priced, cute, and actually tastes pretty good. They only had the mixed berry when we went and it was a good mix of sweet berries encased in a soft pastry shell. Let's be honest, with the Hello Kitty name on top it is not a surprise that everything here is overpriced. You are really paying for the cuteness and not for the taste. That being said... 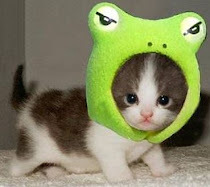 I have been twice and still think it is cute. One day I will get the two items we went there for. Purely on the cuteness, I am definitely willing to go back. 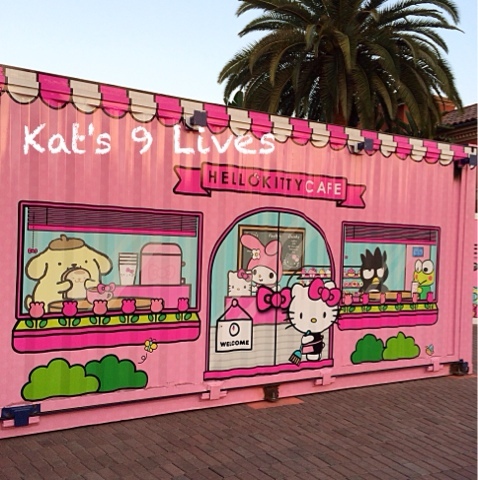 If you are not a Hello Kitty/Sanrio fan... then this place is definitely not for you.